Rod B. 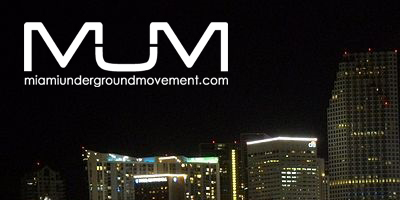 & Alvaro Garfunk bring you the premiere of "Miami Underground Movement." First off, let us skip the obvious and tiresome formalities that become associated with a traditional DJ biography….Glenn Morrison lives and breathes electronic music. For the last five years he has been immersed in it. As a child he was heavily into the classical piano receiving every prestigious honor, including ARCT by the age of 14, furthermore playing competitively on a national scale. The electronica bug hit him soon after and between studies began to consume his life. He worked for several years at Release Records which aided his career in many ways. While at Release he also assisted other labels with A&R: Twisted Frequency (UK), Babylon Records (France) and DK Records (Holland). Last year he decided to follow his own direction, tired of clichés that labels so readily fall into he set up Morrison Recordings. MR is essentially a collection of forward thinking artists from around the globe which specializes in sublicensing to video/computer games, movies and film scores. Not only has Glenn completed commercial work for Kelloggs, Gain and General Mills, he is currently working with EA Sports, Rockstar Videogames, Sony, EMI, Virgin Music, Mercedes Benz, Motorola, Gain, General Mills along with many others, he has collaborated recordings with 16 Bit Lolitas, Deadmau5, Way Out West, Bruce Aisher, Dana Bergquist and Human Adams. Renowned for “Contact? and “Hydrology? (Mau5trap), “Cosmic Flight? and “Bass Experiment? (Hope), Glenn has recently remixed Tube & Berger's track “The Young & The Wild Ones? as well producing “Blue Skies with Linda?, “Rubberband?, “Circles? and “No Sudden Moves? (Armada). He has signed to the Cloud 9 Publishing Group as well as hosting his ITunes & Proton radio show “Sequence? bringing in DJ guests. He welcomes every form of music as long as there is merit to it. Glenn has had guest mixes on prestigious radio shows such as Ministry of Sound Radio, The Red Zone, Plattenleger, and FG 93.7. To top it all off this musical protégé graduated in Law at the University of Toronto and has just been offered a placement on the Business Management program (MBA) at Harvard University – who says DJ’s don’t have any time in their day…? Swedish citizen, Christian Smith spent the late 80’s years in Germany soaking up the early house and techno sound of Sven Vath. Now based in Barcelona, he has been championing his funky mix of house and techno for more than a decade, playing across Asia, North & South America, and Europe, plus regular slots at summer festivals like UK’s Creamfields, Holland’s Dancevalley, Spain's Monegros and Belgium’s I Love Techno. His music released on a variety of top labels like Renaissance; Josh Wink’s Ovum, Carl Cox’s Intec, Darren Emerson's Underwater, and his very own Tronic, only proves his flexibility in the studio. Similarly on the decks, Christian’s set is a cauldron of chunky grooves with loads of energy, 3 decks and effects. Some of his favorite clubs are: Ageha, Tokyo; Loft, Barcelona; Pacha, Buenos Aires; Arches, Glasgow; and Zouk, Singapore. With a full length Smith & Selway artist album out on Sino in 2007 and massive support from DJ's ranging from Deep Dish to Carl Cox to Richie Hawtin, the future is very certain for Christian to stay on top as one of the leaders in forward thinking dance music. Special Thanks to Christian Smith!!!!!! Rafael Abi Ramia started his works as a DJ and Producer in 2001. He has a charismatic personality, which is reflected in his exciting live sets and fine repertoire. His musical style is progressive, with influences of electro and minimal. In 2006, he was identified as the best DJ of electronic music from the City of Niteroi, Rio de Janeiro. Moreover, Rafael Abi Ramia is an events Producer and he writes a weekly column in the Periodical, “O Fluminense of Rio de Janeiro,? about electronic music. Recently, he performed in the Warm Up Fat Boy Slim, and has already played in great parties and clubs in Rio de Janeiro and the USA. These include Club Goa, Sense Club, E-Nuth, Waxy Electrum, Reveillon Buzios, New Lounge, Black Box, Club Six, Patio Lounge, Sky Lounge, Summer TIM Beach, Miami US WMC 2006, Fellows, and Fosfobox. His DJ influences are Sasha, John Digweed, Sander Kleinenberg, Pete Tong, among others. His next project will be in partnership with DJ and Producer Rod B. from M.U.M (Miami Underground Movement), playing 4 decks and using 2 laptops, MacBook Pro and 2 Final Scratch 2. They plan to present themselves in venues all over Brazil in February and during the WMC 2008 in March in Miami, USA. Rodrigo Barreto, a Brazilian-American, has been involved with music and events since his adolescence. Between 1996 to 2000, he promoted clubs and produced parties in the state of Rio de Janeiro. 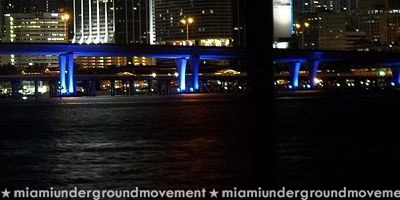 It was in the year 2000, when he moved to Miami, that his passion for elecronic music began and his career as a dj. In 2001, he became involved in the underground club scene in Miami, spinning in small clubs and private parties, and frequenting larger clubs, such as Space and Crobar. Rodrigo hás always been influenced by big DJs like John Digweed, Sasha, and Tom Stephan. In 2007,with much knowledge and experience in the electronic music realm, he searched for additional knowledge and new horizons. He graduated in Audio Technology (Recording Arts) as an áudio engineer and music producer from the reputable school, SAE Miami. He became a member of the recording academy/grammy. In the same year, he was invited to work as an áudio engineer and assisted in producing at the WMC (Winter Mucis Conference) and at the 22nd Annual International Dance Music Awards (IDMW), the biggest conference of music electronica in the world. Presently, Rodrigo hás been working in his home studo on new productions along side Dj and Producer from Texas,Tim funatik, aka Heizler. Recently, he went on a tour in Rio de Janeiro, Brazil in November 2007 with his new project, M.U.M. 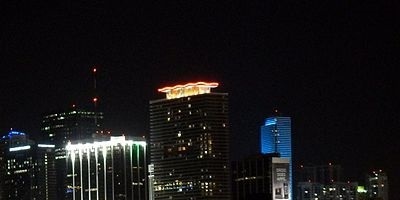 Duo (Miami Underground Movement), along with another Miami DJ and Producer, Alvaro Garfunk. An upcoming tour hás already been established and he plans to return to rio in february 2008. This time with Dj and Producer, Rafael Abiramia, with the M.U.M Project 4Decks, using two laptops MacBook Pro and two Tracktor Scratch 3. Besides presenting himself in parties and clubs in Miami. 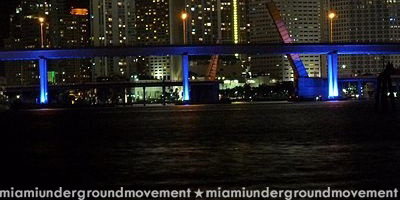 Rodrigo owns and coordinates a weekly Podcast from miami the www.miamiundergroundmovement.com, , with upcoming producers and global DJ’s, such as Umek, James Talk, Jelo, Christian Smith, among others. So enjoy and don’t let the music stop.